Running one of the largest websites on the internet with about 5 million unique sites hosted exposes you to all sorts of issues. There are constant events to deal with, some internal, some external. This morning, one of the more common external events, a Distributed Denial of Service Attack occurred. We experience these types of attacks rather frequently, but most are easily mitigated and have no user impact. 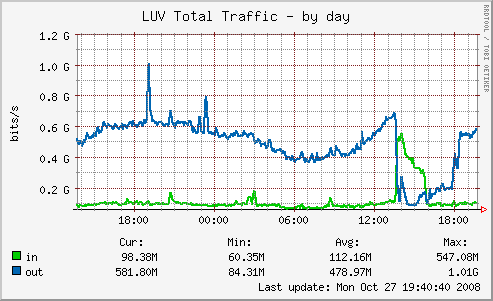 One this morning, however, was rather large and thus impacted some users. 10:00 AM EST — The target of the attack was identified and removed from our network. The attack, however continued. This is because the attacker had hijacked tens of thousands of computers (probably by installing a virus which was spread via email) and these computers had no idea the site was no longer there. A small log sample shows over 8 million requests for this one site from over 10,000 unique IP addresses. 10:20 AM EST — Since we have servers in multiple data centers throughout the United States which serve traffic for WordPress.com all the time, we were able to route all legitimate traffic out of the affected data center, and let the single affected data center deal with the attack. 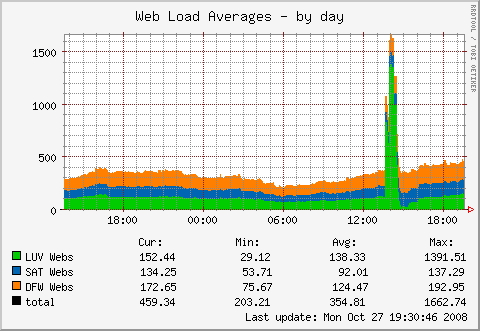 11:30 AM EST — The IPs targeted in the attack were null routed at this point which allowed us to bring all datacenters back online to serve normal traffic.